Hospitals are rife with dangerous diseases. As a result, housekeeping is one of the most important functions for hospitals and other healthcare institutions, serving to keep their surfaces as clean as possible so that dangerous diseases cannot spread from one patient to the next. Something that is not just beneficial for the hospitals’ patients but also the healthcare providers striving to provide said individuals with the care that they need. 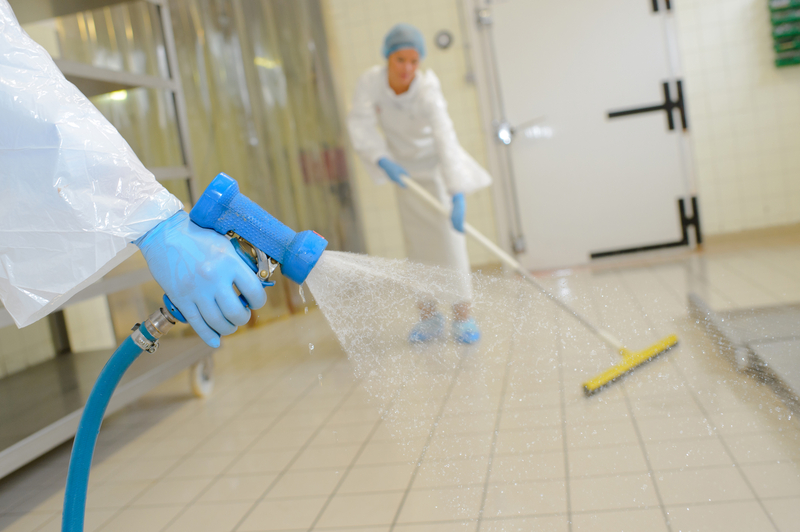 Unfortunately, keeping a hospital’s surfaces as clean as possible is much easier said than done. In part, this is because hospitals have higher standards as well as more complicated challenges than most, meaning that the best results cannot be ensued unless the cleaners have the right expertise, experience, and equipment. However, it should also be noted that it is all too common for a cleaner to miss a spot and thus compromise the cleanliness of the entire space, meaning that hospitals also need someone who is thorough and methodical. Given the nature of a hospital’s business, it should come as no surprise to learn that some of its surfaces can become contaminated from time to time, with a prime example being when a sick patient vomits onto the floor. When this happens, cleaners should clean the surface as soon as possible, make sure that their cleaning equipment has been decontaminated, and then start cleaning other surfaces. Unfortunately, this is often forgotten, meaning that cleaners can actually spread the contamination by cleaning other surfaces before decontaminating their cleaning equipment. Human hands touch a lot of surfaces, which in turn, means that human hands can spread microbes to a lot of surfaces. As a result, a hospital cannot be considered clean unless its cleaners are thorough about cleaning all of its surfaces, with common examples including but not limited to door knobs, hand rails, and light switches. Otherwise, the benefits of regular cleaning will be much reduced because a lot of often-forgotten surfaces will remain as dangerous as ever. Healthcare providers tend to be under enormous pressure, making it understandable that medical equipment is often not as clean as it should be. Something that can pose a serious health risk to the patients who will be in need of that medical equipment. However, the best cleaners will have not just the capabilities needed to clean medical equipment in an efficient and effective manner but also the consummate professionalism needed to ensure that it is done with or without the prompting of healthcare providers. If you run a hospital, chances are good that you need a skilled and experienced team of cleaners to handle your cleaning needs. You could hire your own team, but if you consider that to be too expensive, you can contact us to learn all about how we can help you as well as all of the reasons that you should choose us rather than one of our competitors.